It was time to bring a bit of the Spring indoors. I get almost as excited about Easter as Christmas. Who wouldn't!?! Celebrating a risen Savior gives inexpressible joy. I've mixed a bit of vintage in with a few newer items as well. 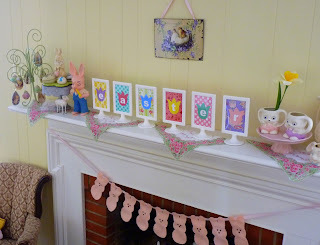 The fun white frames from Ikea are filled with fabric scraps and tulip letters spelling Easter. 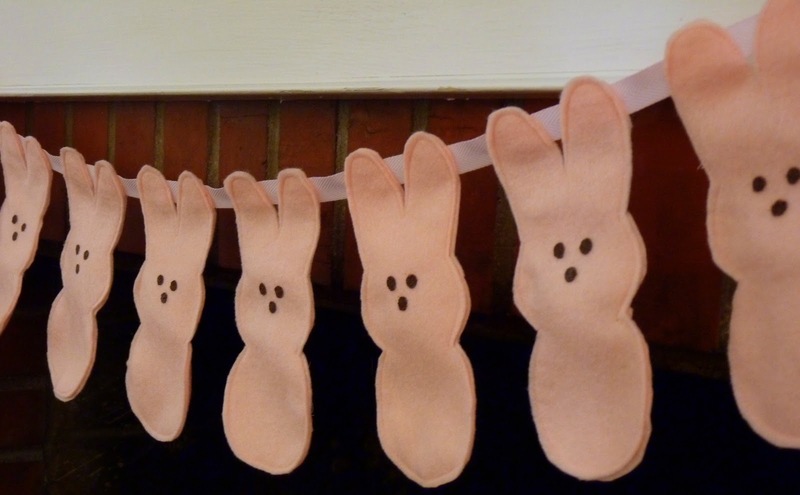 The bunny bunting came from the tutorial from Made. The color is pretty washed out in the photo, but it is the perfect bubblegum pink. Gotta love those Peeps! 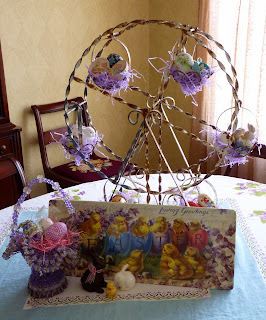 Growing up, my mom gave my sister and I a new Easter egg each year. Most of my collection fits in the vintage ferris wheel planter on my dining room table. I LOVE the tulip letters. What a darling idea! You can't get any more "spring" than tulips! 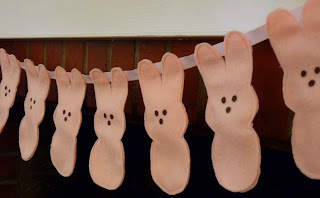 Love the "peeps" garland! What a great Easter display!!! Those frames are darling! Visiting from Tatertots & Jello, thanks for sharing. Very cute. I love it all.